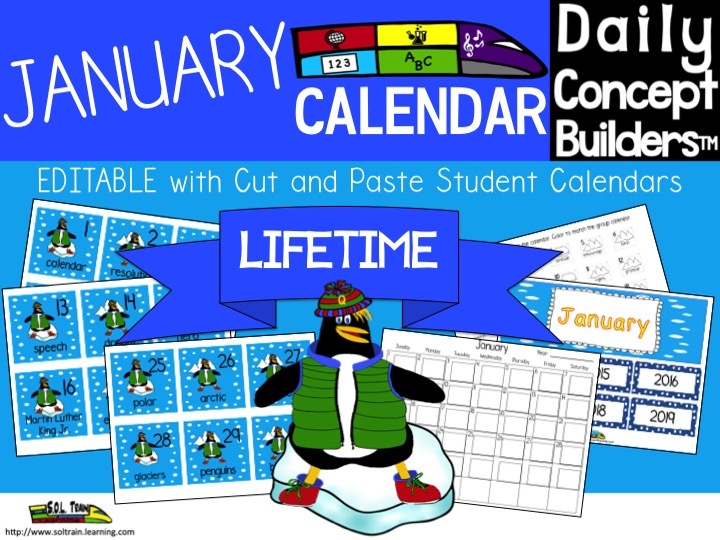 This January Word of the Day calendar with our original penguin from SOL Train Learning is a vocabulary tool that every teacher should have in his or her arsenal. 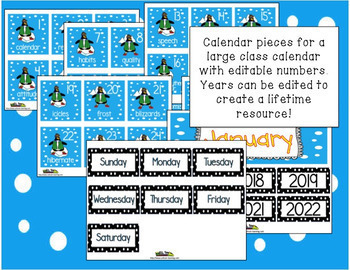 There is a January word on each cute penguin calendar card as well as a pattern to follow, and there is a student black and white version with 2 teacher guides. 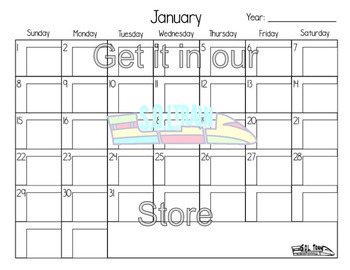 This January Activities calendar is now editable! 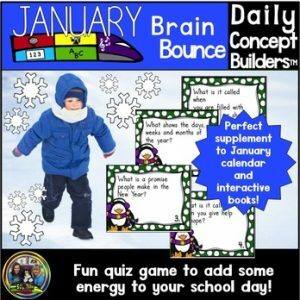 This January Word of the Day calendar with our original penguin from SOL Train Learning is a vocabulary tool that every teacher should have in his or her arsenal. There is a January word on each cute penguin calendar card. 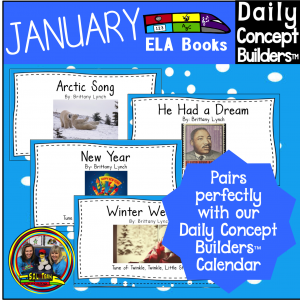 These word of the day calendar pieces help introduce words about weather, the arctic, and other categories associated with January. So much more than a cute penguin calendar, or word of the day resource. 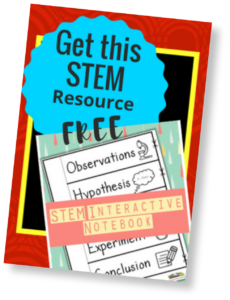 This word of the day product provides numerous teaching opportunities for you and your students. We have provided a teacher guide for your circle/calendar time, as well as a teacher guide for our word of the day student calendars. 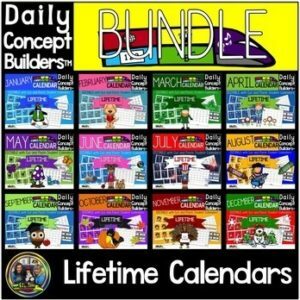 These word of the day calendars provide you with writing ideas, pattern practice, vocabulary development, grammar opportunities, age-appropriate definitions, and seasonally appropriate words for supplemental lessons. 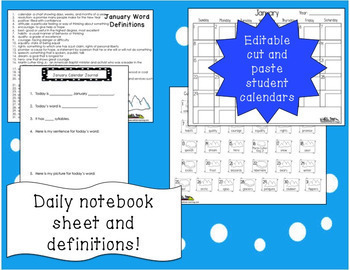 Your students will love seeing Quality Quentin, the Quality Penguin on their word of the day calendar pieces.